The sons of Tito Jackson are set to star in a new reality show. Taj, TJ and Taryll Jackson will star in The Jacksons: The Next Generation. The show will premiere 10.2.15 at 10PM on Lifetime. Michael Jackson's children, Prince, Paris and Blanket will make appearances. Episodes will delve into the professional and personal lives of: TJ, the 34-year-old father of four and the legal co-guardian of his uncle Michael’s kids, Prince, Paris and Blanket; Taryll, the 39-year-old father of two with a “very complicated” relationship with his sons’ mother; and the 41-year-old Taj, who is pursuing careers in music and film directing when he’s not defending the family name. 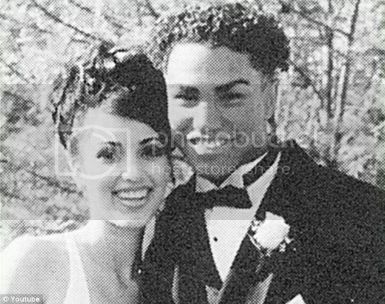 TJ Jackson dated Kim Kardashian back in the day. Side Note: In case you didn't know...Taj, TJ and Taryll are the members of the music group, 3T. The siblings had several hit songs and created their own following. Their album, Brotherhood, went triple platinum.